The tale of Beren and Lúthien was, or became, an essential element in the evolution of The Silmarillion, the myths and legends of the First Age of the World conceived by J.R.R. Tolkien. Returning from France and the battle of the Somme at the end of 1916, he wrote the tale in the following year. Essential to the story, and never changed, is the fate that shadowed the love of Beren and Lúthien: for Beren was a mortal man, but Lúthien was an immortal elf. Her father, a great elvish lord, in deep opposition to Beren, imposed on him an impossible task that he must perform before he might wed Lúthien. This is the kernel of the legend; and it leads to the supremely heroic attempt of Beren and Lúthien together to rob the greatest of all evil beings, Melkor, called Morgoth, the Black Enemy, of a Silmaril. 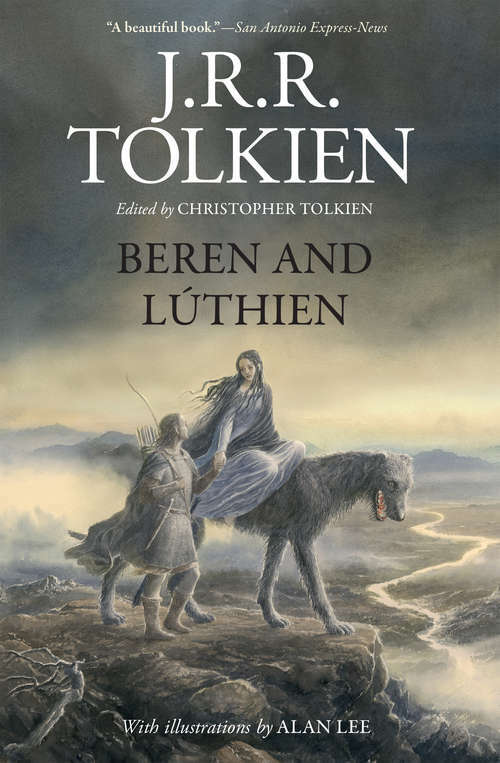 In this book Christopher Tolkien has attempted to extract the story of Beren and Lúthien from the comprehensive work in which it was embedded; but that story was itself changing as it developed new associations within the larger history. To show something of the process whereby this legend of Middle-earth evolved over the years, he has told the story in his father's own words by giving, first, its original form, and then passages in prose and verse from later texts that illustrate the narrative as it changed. Presented together for the first time, they reveal aspects of the story, both in event and in narrative immediacy, that were afterwards lost. Published on the tenth anniversary of the last Middle-earth book, the international bestseller The Children of Húrin, this new volume will similarly include drawings and color plates by Alan Lee, who also illustrated The Lord of the Rings and The Hobbit and went on to win Academy Awards for his work on The Lord of the Rings film trilogy.